Property taxes are intended to spread the costs of public services among the people who use them. They are not intended to put a disproportionate financial burden on a single individual or business, and they are certainly not intended to cause significant financial hardship. 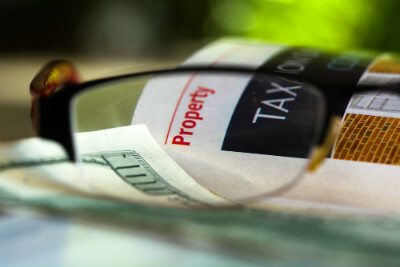 Unfortunately, there are situations in which owners of valuable properties run into issues with excessive property taxes, whether because their assessment is too high or they simply can’t afford to pay their bill. Texas property tax relief programs are specifically designed to reduce taxes for certain eligible property owners. If your excessive property tax bill is the result of an error in your assessment, the solution may be a property tax protest. However, if the issue goes beyond your assessment, and your bill is just too high, it may be time to focus on property tax exemptions. Exemptions are determined by legislation, and they require the tax assessor to remove some or all of the appraised value of your property from the total taxable amount. For example, if your property is assessed at $500,000 and you qualify for a $100,000 exemption, your property taxes will be calculated on a $400,000 property value. Some exemptions are required state-wide as the result of state regulations, and local districts may have tax relief programs specific to the area. Special exemptions are available when the property in question is your primary residence, and there are specific programs that offer property tax relief for seniors, individuals who are disabled and veterans. Charitable organizations may qualify for property tax exemptions, and some areas offer tax relief on real estate that is powered with renewable energy. Note that these applications must be in by May 1 of each year, so it is critical to start the process as early as possible. The number and type of property tax exemptions available are extensive, so it is wise to consult an experienced property tax attorney to ensure you receive all of the exemptions you are entitled to. Whether you need help reducing an excessive tax bill or you would like to apply for one or more of the property tax relief programs available to you, contact our experts, and we’ll guide you through the process. Our specialized property tax lawyers understand how to lower property taxes, and they have a long history of success with assisting taxpayers like you.